"Develop virtues like generosity, forgiveness and love. Mere Yogic Kriyas alone will not help you much. Do self-analysis daily and eradicate your faults and evil, slavish habits. Rectify your defects such as selfishness, pride, jealousy and hatred. You must cultivate a compassionate and loving heart first. At all times you must share what you have with others and practice selfless service. Then only will you get purity of heart. Yoga is unity, identity, homogeneity, oneness and sameness with God. Many aspirants neglect these preliminaries and jump, out of curiosity, to Yogic Kriyas for getting psychic powers. It is really a serious blunder. They will have a hopeless downfall. Therefore, be careful. Mere Yogic Kriyas cannot bring about the desired results. The purification of the heart is of paramount importance. It is a blessing to be a Yogi. Practice Yoga and preach. Hatha Yoga ensures good physical and mental health. You must utilize this to the best advantage by deep meditation on the Atman or inner Self. Self-realization should be your goal. This should be achieved by the constant remembrance of God, by righteousness, by a life of virtue and by the practice of Yoga. 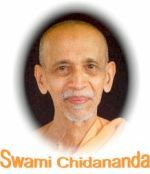 "Though engaged in the performance of worldly duties, one who is regular in the study of the Gita becomes free. He is the happy man in this world. He is not bound by Karma. Just as the water stains not the lotus leaf, even so sins do not taint him who is regular in the recitation of the Gita. All the sacred centers of pilgrimage, like Prayag and other places, dwell in that place where the Gita is kept, and where the Gita is read. All the gods, sages, Yogins, divine serpents, Gopalas, Gopikas (friends and devotees of Lord Krishna), Narada, Uddhava and others (dwell here). Help comes quickly where the Gita is recited and, O Earth, I ever dwell where it is read, heard, taught and contemplated upon! "Yoga & Vedanta" : Blessed Divinities! Sadhaks and seekers! From your ancient, effulgent past, as your heritage and birthright, you have inherited two great treasures—Yoga and Vedanta. Vedanta is divine wisdom, knowledge of the Divine Reality, the great Reality. Yoga is the science of entering into a conscious relationship with that knowledge, experiencing that knowledge, realising that knowledge. Yoga and Vedanta form the two ingredients that go to make up the divine life of service, devotion, meditation and Self-realisation. 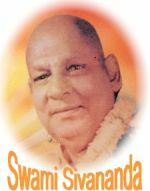 Boldly Vedanta proclaims and wants you to know: “ahamatma nirakarah sarvavyapi svabhavatah (I am the Atman that is formless, all-pervading by nature).” “Beyond sense, beyond mind, I am the quintessence of luminous wisdom consciousness”—this is the awareness that Vedanta grants you and wants you to practise. And Yoga is continuous, unbroken, conscious, purposeful contact and relationship, ever progressive relationship with the Divine. Regular practice of simple and gentle flexibility exercises will improve stamina and strength, reduce aches and pains, improve posture and body alignment , improve immune system, awaken body and energize the mind and finally leads one to evolve spiritually. <<More>> . 39th YTTC (Dec 11, 2017 - Dec 30, 2017) : Yoga Teacher Training Course at Sivananda Ashram, Ahmedabada is designed to offer you the experience of living Yoga way of Life and to present the necessary techniques that will enable you to pass these great teachings on to others. This training program includes both lectures and practical components from respected experts in the fields of cardiology, gynecology, anatomy , physiology , Yoga, meditation, spirituality and psychology. The program syllabus includes detailed instructions for each posture with their benefits. Also, in depth practice of different pranayama (breathing exercises), meditation, relaxation (Yoga Nidra) techniques are taught based on Patanjali Yoga philosophy. At the concluding of the program and passing the test graduate receives certificate recognized by Gujarat University. << Reg Form & more info >>. Please refer to our guest information page for stay, travel details and more. 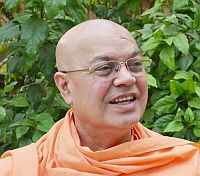 Q & A on Spiritual Life and Sadhana from “May I Answer That?”- by Holy Master Sri Swami Sivanandaji Maharaj. I am doing vigorous Tapas and meditation for the last five years. With all that, my troubles and difficulties are multiplying. I have lost my job. I am starving now. What shall I do? Is this the Grace of the Lord? How can I continue my Sadhana when I have nothing to eat? It is said that the Lord gives food even to the frog that lives between the strata of rocks. Why has He failed in your case alone? This is a great wonder! Has He failed in His duty? This cannot be. He is all-merciful, all benevolent! Is it because He wants to develop in you the constructive qualities— courage, presence of mind, endurance, strong will, fortitude, more mercy and love— and make His instrument more fit for His Divine Lila? Yes, this must be the case. The struggling and sincere aspirant also gets more troubles and difficulties, because he has to march quickly on the path to reach the portals of the Kingdom of Supreme Peace and Unalloyed Bliss. Princess Mira renounced the pomp and glory of the Palace and walked in the burning sands of Rajputana. She starved on her way to Brindavan. She slept on the ground. She lived on alms. 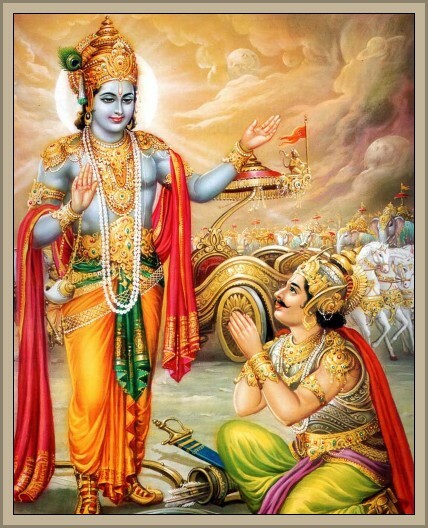 The Pandavas underwent countless sufferings even when Lord Krishna was at their back. Draupadi was placed in a very bad plight even though she had Bhima, Arjuna and Dharmaputra to fight for her. Our sufferings are nothing, when compared to the persecutions underwent by the five Pandavas, Sri Rama and Mira. Look at the sufferings of Raja Harischandra and his wife! He had to serve in the cremation ground and do the work of a Chandala to keep up truthfulness. It is suffering that develops the will. It is suffering alone that moulds a man on the spiritual path. Be not troubled. Feel Lord Siva’s grace and mercy at every step. All difficulties will melt away like mist before the sun. Have perfect unswerving faith in His grace.